This is a claim, of course. The claimant is the Jester, a self described ‘hacktivist for good.’ Anyway, a former New York resident is allegedly the head of LulzSec, the hacker group who’ve grabbed some prominent headlines lately. The big reveal comes after the jump. A certain Xavier Kaotico is the alleged head of LulzSec. An IT consultant by profession, there’s little word or confirmation that Mr. Kaotico, who has an alias (that would e ‘sabu’) is really the right guy. Of course, this might be a nasty sequel to that whole HBGary mess. Thinking about what happened to dear old Aaron Barr gives us the lulz. 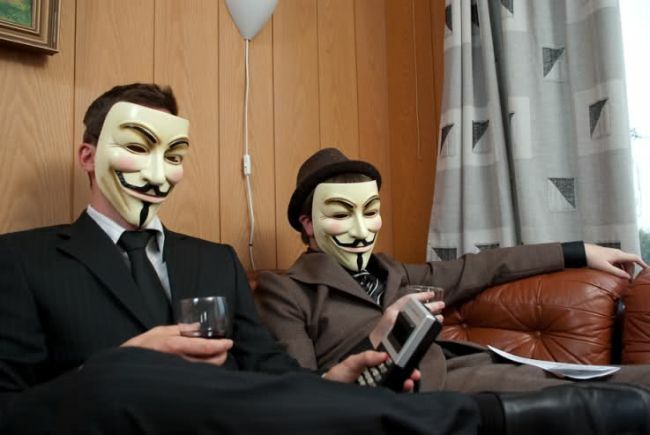 But seriously, be careful when trying to de-anonymize these hackers. They’re more slippery than a wet bar (no pun intended) of soap greased with oil. Ha! Sitting pretty on cargo bays full of corrupt booty, they think it’s acceptable to condition and enslave all vessels in sight. Our Lulz Lizard battle fleet is now declaring immediate and unremitting war on the freedom-snatching moderators of 2011. On a kinda off topic note: How does Alan Moore feel about the Guy Fawkes mask he popularized becoming the symbol of anarchist hackers everywhere?